We haven’t had snow on Salt Spring in two years (this is Canada??). Yet leaving the heavy gray skies and drizzle of February suited us just fine. Using airline bonus points (gotta love’em!) we flew to Cancun, Mexico. 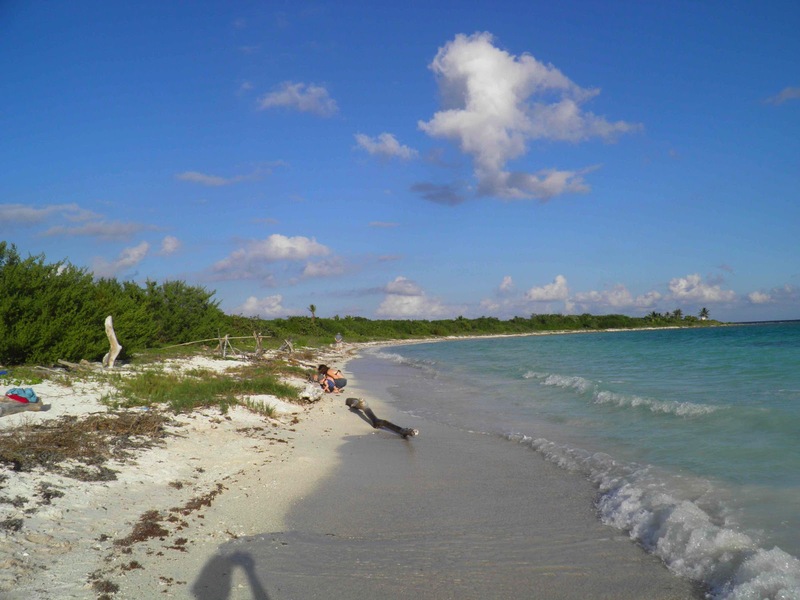 While Cancun is busy with lots of highrises and touristy resorts, we know how to make an escape. You walk out of the airport, take the first bus in the first spot and for US $15.- you head south to Playa del Carmen. There you haul your pack into a taxi and for US $17 you get delivered to the door of paradise. Do I dare tell you about Paamul? I don’t want you all to go there because it is so nice and small and quiet! We discovered Paamul thanks to a teacher in Texas. She and a lot of Canadian and American snowbirds live in Paamul for part of the year. Their rv’s are parked under pictoresque palmleaf roofs called palapa’s. The three ‘streets’ of palapa’s form a horseshoe with the jungle in the back and the blue Caribbean at the front door. These snowbirds have adopted a small, poor Mayan village nearby. For many years now they have fund raised and worked very hard to build a library and now a preschool. They do amazing work and have now adopted a second village! No rest for these retirees. Paamul has one small hotel with gorgeous, breezy rooms each overlooking the sea. You step right out of your room into the warm sand (and iguana tracks). There is also a large mansion, Casa Willis, where you can rent one of three floors (or all three, I’m sure). Having stayed in the hotel, we rented the bottom floor of the house this year and brought kids and grandkids. It was heaven to be able to let the kids right out of the sliding doors of our living room and onto the sheltered sand in our backyard. We swam several times a day, both in the sea and in the pool. There’s a lovely open air restaurant with great food and beer. But other than that, no services. Which suits us just fine. We walked to the main highway and hopped on a local collectivo which, for 3.- in pesos, delivered us to the Maya ruins in Tulum. 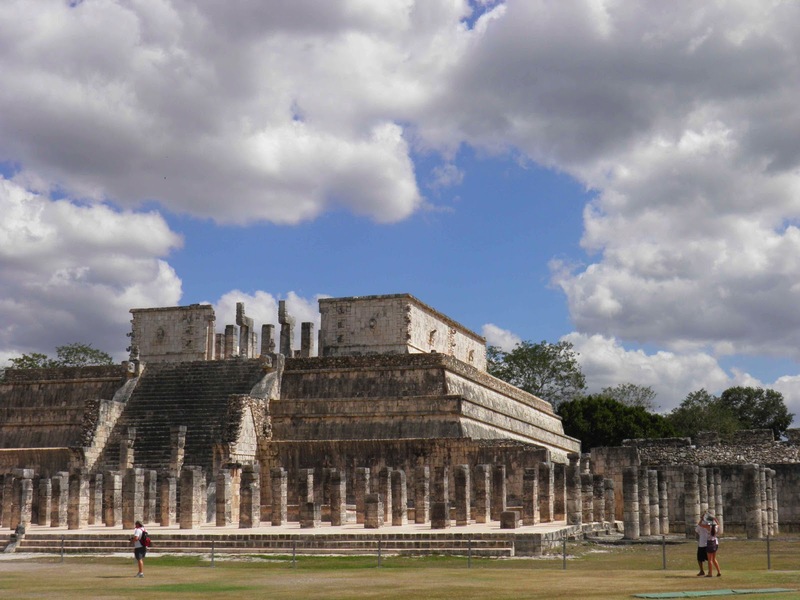 We also booked a one day excursion with Easy Tours to Chichen Itza, the ruins on the list of world wonders. Turned out to be a good choice. For US $50.- p.p. (half of what other companies advertise) they picked us up in a small air conditioned van. We had a great guide who taught us much about Mexico. Spent the entire day at the ruins, swimming at a cenote, having lunch, and visiting an old colonial town. It was great to read James Michener’s Caribbean while there. It brought the ruins, the temples, the ball courts to life. Weather was warm, a bit muggy and very windy right on the coast. But we all got suntanned! Hannah even got certified as a scuba diver while there. They saw an amazing array of wildlife at the corral reefs each day, including eels, a small shark, large turtles and all sorts of colorful fishes.